Keyed Alike Locks: 1 Key is All You Need! In this latest diary post I would like to share another area we get great satisfaction from – fitting multiple Locks with the Same Key! Not to be confused with the “master key systems” or “master key suite” we covered in our last diary post about our approach for master key systems. Keyed alike locks are a security option that many people are unaware of. We always enjoy introducing customers to this simple concept that can make life less complicated. Many people are unaware that you can operate multiple locks with a single key. Yes you really only need 1 key on your key ring and not a giant bunch of keys! Keyed alike door locks really can make life simpler for all of us! Master Keys are not just for business and can help anyone streamline and take control of their life. It’s one of those things that once you discover it you wonder how you lived without it! Multiple locks with one master key can really help home owners and businesses alike! Any other locks you use on the same key. How much simpler would life be?! I know it has made my life simpler. Many people don’t know that having all your house locks with the same key is an option. Even your mortice lock! Many can’t understand how it works. It is referred to as Keyed alike. It works not because each lock is the same but because the key holds a number of different cuts to allow it to work in each of the locks specified. Master lock keyed alike can be done with high security and standard locks and keys. I do recommend high security keys as they provide a higher level of security whether you are looking at replacing door locks with same key or not. Just Moved House? It’s Important to Change The Locks. 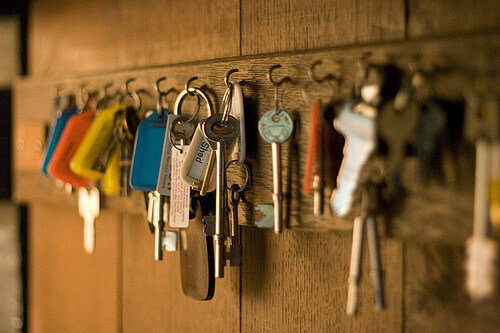 If you have just moved into a new home it is really important to change your locks as there are a number of people who could hold a key to your new home. This is the perfect opportunity to get all your locks working from one key. See here our security guide for home movers. It is always important to choose a locksmith carefully to avoid the many rogue locksmiths. See our guide on how to choose a Locksmith. Not all locksmiths offer a keyed alike service. You need to choose a locksmith that has the equipment and ability to cut one key for multiple locks. A keyed alike system can work well for residential locks and is also suitable for commercial properties where the owner needs access to multiple locks. We are a specialist residential and commercial locksmith and have demand for keyed alike locks for both residential and commercial clients. If you require commercial keyed alike locks or residential keyed alike locks or a combination of both most reputable locksmiths offer a free survey of your premises and will present you with a proposal. 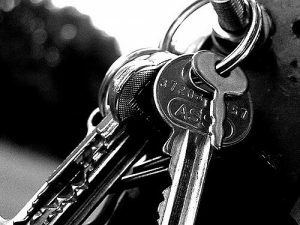 IKS Locksmiths are Master Locksmiths based in North London who can deal with all your lock fitting needs! . My next diary post will explain our work with a range of security accessories for residential and commercial use. In the meantime all comments and questions are very welcome.